Land Rover today announced the launch of the much-awaited Range Rover Velar with prices starting from ₹ 78.83 Lakh in India. 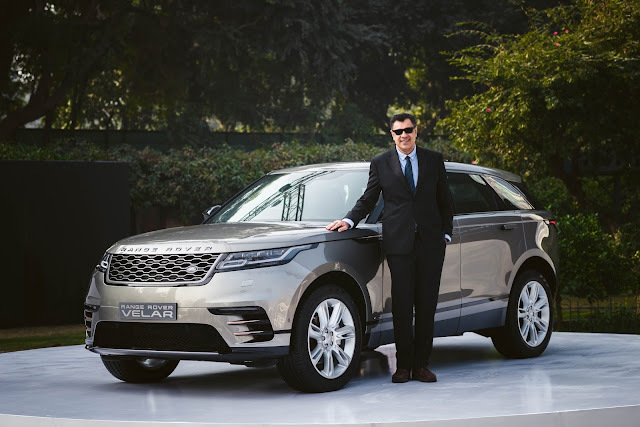 Derived from the Latin word Velare meaning 'to cover' or 'veil', Velar is a direct reference to the code name used on the original, pre-production Range Rovers of the late 1960s. Available in three powertrains, a 2.0L 4-cylinder 132 kW diesel, a 2.0L 4-cylinder 184 kW petrol, and a 3.0L V6 221 kW diesel, the New Range Rover Velar offers world-class refinement, all-terrain capability with exceptional performance.